It’s the weekend of Rugby in the UK, with Rugby Union kicking off their Autumn Internationals and the ever more important Rugby League International Series in full swing it’s a rugby fan’s dream. However, as we all know Rugby League is by far the superior Rugby and you’re most likely to be interested in the 3 match series between England and New Zealand. This weekend they play at the world-famous football ground Anfield in Liverpool followed by another well known stadium Elland Road, Leeds next weekend. If you’re outside the UK and you’re looking for a way to watch England vs New Zealand then your options can seem limited. Below I’ll be showing you the easy way you can watch all the action abroad from any country in the world. In the UK the matches from all three of the locations across the UK are being shown live on BBC 2. While you’ve already missed England’s 18-16 win over New Zealand last weekend at Hull there are two important matches still to come. If you’re in the UK you can simply visit the BBC iPlayer website or use their app to watch the matches live but if you’re abroad then you’ll be blocked. To unblock the England vs New Zealand matches you’ll need the help of a VPN app. A VPN app allows you to switch your location. They’re sold by hundreds of companies but my favourite and recommended is, ExpressVPN. I’ve listed a few more options further down in this guide if you’ve got time to be shopping about. However, if you just want to get on and watch the Rugby between England and New Zealand head to the section below for a quick step-by-step guide on how to do just that. To watch England vs New Zealand you’ll need to get a VPN app. I recommend using ExpressVPN. The steps are easy and below you can follow my step-by-step guide which will let you watch from anywhere in the world. Visit the ExpressVPN website and download their app for your device. Open the app and when required login or activate it. Next select ‘Choose Location‘ (1). Then select ‘United Kingdom‘ (2). The app will automatically start to connect but if it doesn’t press ‘Connect‘ (3). Once the app has connected visit the BBC iPlayer website or use their app to watch the match live. Watch England vs New Zealand with ExpressVPN. Once you’re connected to the ExpressVPN app the BBC iPlayer website or app thinks you’re in the UK. 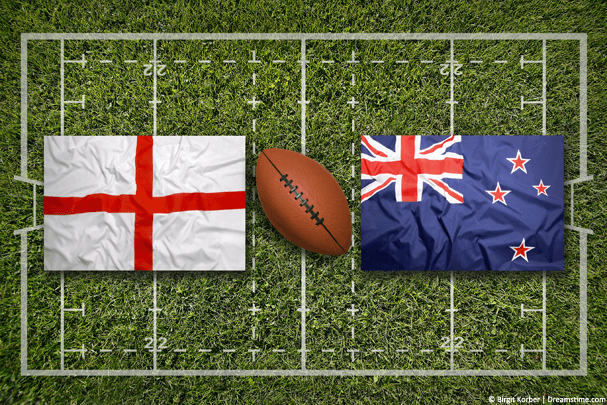 This allows you to watch the England vs New Zealand Rugby League matches live in any country. So you can now watch the Rugby in America, Canada, Australia, New Zealand, Japan, Spain, South Africa or anywhere else in the world. When you’ve finished watching just disconnect and reconnect in the future when you want to watch the next match. When are the England vs New Zealand matches taking place? The International Series 2018 matches between England and New Zealand are taking place over three weekends spanning across October and November. You can watch both matches live using the method listed above. Yes, most definitely. 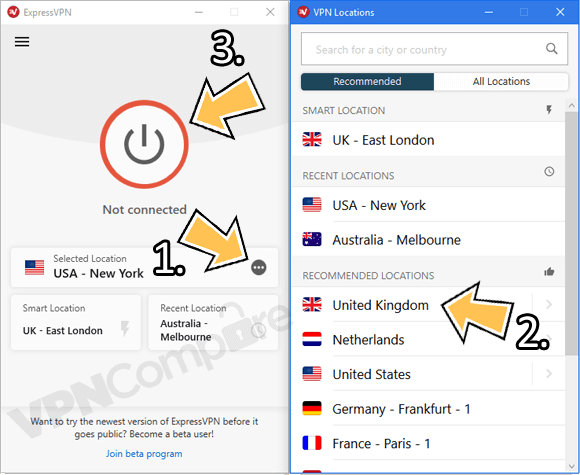 Although ExpressVPN is my favourite choice and recommended VPN service, there are other options. If you do a search of Google for VPN apps suitable for watching the England vs New Zealand games then you be inundated with choice. It’s worth noting that not all VPN services are suitable for watching the matches because they don’t all work with BBC iPlayer which is showing the games. They will all let you watch the Rugby so you can’t go wrong. Simply choose one of the options and sign up for their service. Then head over to the BBC iPlayer site or use their app to watch England vs New Zealand anywhere in the world. New Zealand is without question one of the best Rugby teams in the world. With players such as Shaun Johnson, Jordan Rapana and Dallin Watene-Zelezniak all big names and most playing NRL week in week out, England has a tough task ahead. However, England is certainly no minnow team and while some may often think of their players as smaller in terms of the clubs they play for which includes the likes of Bradford and Wigan there is no question that most could hack it in the NRL too. England narrowly won the first meeting in Hull coming out on top with an 18-16 victory. While New Zealand clearly has the talent they’re still wary after their shock World Cup knockout at the hands of Tonga. England will go into the Anfield game buoyed by the Hull win and with a home crowd and weather conditions more favourable to the English, New Zealand could have an uphill struggle to take a victory. Wherever you are in the world you can watch all the International Series between England and New Zealand. For this, you’ll need a VPN service from ExpressVPN. You can get this by clicking the button below and signing up. Once you’ve signed up download their app and connect to the United Kingdom. You can now watch the official live coverage on the BBC 2 channel either via their website or by using their app. I would love to know your predictions, where you’re watching from and who you ultimately think will win. Why not let me know in the comments section below?